In a large bowl, whip the mascarpone and 1/3 cup of sugar with the heavy cream until soft peaks form. Gently fold the zabaglione (egg yolk mixture) in to the mascarpone mixture. Blend the espresso or coffee with the remaining two tablespoons of sugar, rum and espresso balsamic until the sugar dissolves. Working with 1 cookie at a time, dipping a total of 8 cookies into the espresso per layer. Arrange the lady fingers in a single layer, side by side with a small amount of room between each, over the bottom of a two to three quart dish. Spoon 1/3 of the mascarpone mixture over the cookies and gently spread to cover. Sprinkle with ground chocolate. Repeat this process two more times finishing with a layer of mascarpone and ground chocolate on top. 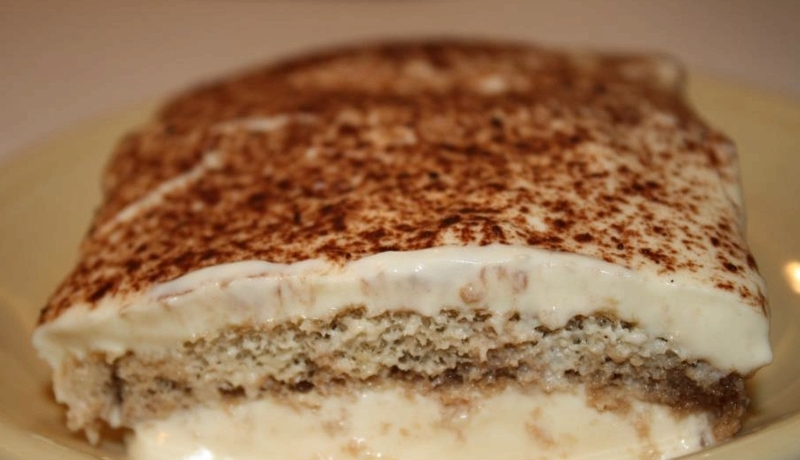 Cover the tiramisu with plastic and refrigerate at least 6 hours.